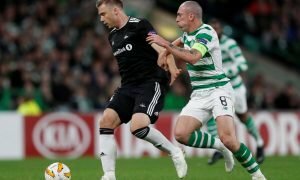 5 Celtic players who should move to the Premier League | The Transfer Tavern | Where football transfer rumours fly or die! For many years now, Celtic fans have often had many parties in the Transfer Tavern. Indeed, once Rangers were kicked out of the SPL, Celtic were able to dominate this league even more, and for years now they have enjoyed a lot of success in Scotland. Though Celtic aren’t the force they once were in the Champions League, it is still on the whole a well respected football club. 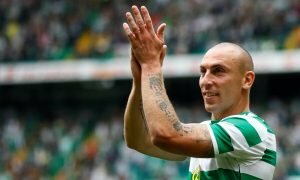 However, one thing that has been more frequent over the years, is that Celtic have increasingly seen many of their stars move onto the Premier League. Most recently, the likes of Fraser Forster, Virgil Van Djik and Victor Wanyama have all moved to Southampton, though other stars such as Gary Hooper and Joe Ledley have also moved to England’s top flight. It is a trend that is also more than likely to continue, while Celtic do not have a star studded squad, they do certainly have players who are capabale of mixing it in the top flight, and below we picked five names who we could soon see in England in the near future. Hit the image below to see FIVE Celtic players that could move to the Premier League!